Two species of the Elaeis genus are cultivated for oil production: the African oil palm Elaeis guineensis Jacq. (West African origin) and the American oil palm, Elaeis oleifera (Kunth) Cortés (South or Central America). Elaeis guineensis is the most productive species (5-7 vs. 0.5 t oil/ha/year) and the one generally used for oil production, though interspecific hybrids have been developed for this purpose (Prabhakaran Nair, 2010; Teoh Cheng Hai, 2002). Palm kernel meal is an important feed ingredient and the by-product of the oil palm (Elaeis guineensis Jacq.). 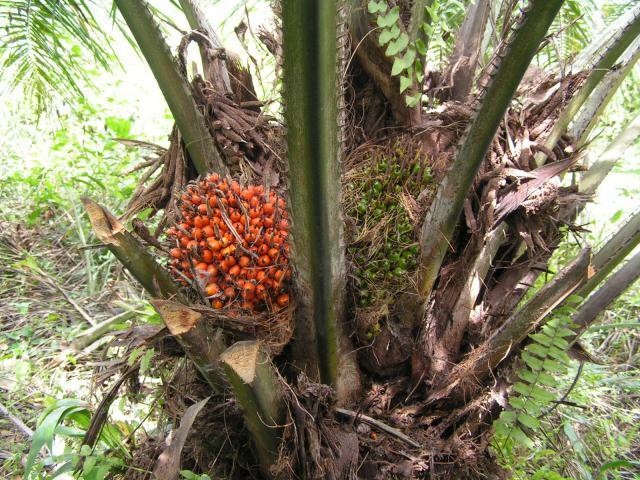 This palm tree is cultivated for its oils rich in highly saturated vegetable fats: the palm oil, extracted from the fruit flesh; and the palm kernel oil, extracted from the fruit kernel. Palm oil is both a major staple oil (a "poor man’s cooking oil", common in South-East Asia and tropical Africa) and an indispensable ingredient for the food industry (Prabhakaran Nair, 2010). It has also numerous non-food applications, including as a feedstock for biodiesel. Palm kernel oil, which is semi-solid at room temperature, is economically less important. The demand for palm oil, fueled by the growth of the Chinese and Indian economies, has been growing rapidly since the 1990s. Palm oil production doubled between 1996 and 2005 and increased yearly by 10% during the 2000s. Palm oil overtook soybean oil in 2004 to be the world’s leading vegetable oil (45 million t in 2010). The production of palm kernel oil, while less important (5.6 million t in 2010) overtook that of groundnut oil in 2007 (FAO, 2012). The oil palm is an evergreen monoecious tree, 18 to 30 m tall (Ecocrop, 2011; Ataga et al., 2007). Though the tree can live up to 200 years, its productive life is about 25-35 years as older trees are too tall and impractical to harvest (Ecocrop, 2011). The tree has a stout trunk, up to 75 cm in diameter, a crown made of 40-100 fronds (leaves) spirally arranged at the top, and an adventitious root system (Rossin, 2009; Ataga et al., 2007). The compound leaves are up to 8 m long with 250-350 leaflets irregularly inserted on the rachis (Ataga et al., 2007). Inflorescences are borne at the leaf axil. After pollination, female inflorescences develop into large and heavy fruit bunches bearing about 200-500 fruits (Ecocrop, 2011; Ataga et al., 2007). A tree may bear between 2 and 6 bunches a year. The fruit is a fibrous, ovoid drupe, 2-5 cm long and about 2 cm broad, usually orange when ripe. The fruit has a thin epicarp, a fleshy and oily mesocarp and a hard endocarp that contains an oil-rich endosperm (kernel) (Vaughan et al., 2009). Fruit bunches can be harvested 3 to 4 years after planting and the largest amount of fresh fruit bunches is obtained after 8 to 10 years (Poonam Singh Nigam et al., 2009). The fruit bunches are cut off or knocked down carefully when the fruit is ripe (Ecocrop, 2011). Palm oil is extracted from the fleshy mesocarp and is rich in palmitic acid (42-47%) and oleic acid (37-41%) (Basiron, 2005). Palm kernel oil is extracted from the kernel and is rich in lauric acid (44-51%) (Gervajio, 2005). In the traditional oil extraction process, the fruits are boiled, pounded in a wooden mortar, and the pulp is soaked in water until the oil rises to the surface. The oil is then skimmed off and boiled to remove the last traces of water (Vaughan et al., 2009). 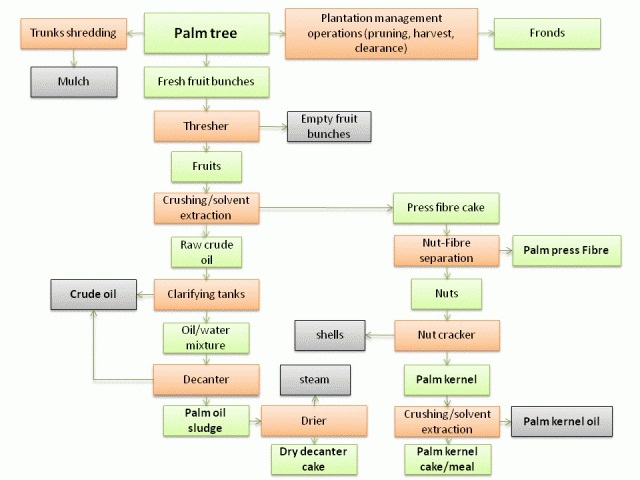 In the industrial process (see Figure), the fruit bunches are steam-sterilised to stop the formation of free fatty acids. The fruits are detached from the bunch and conveyed to a digester where they are heated, stirred and screw-pressed to extract the crude palm oil, which is put in clarifying tanks to remove dirt and moisture before decantation and drying (Teoh Cheng Hai, 2002). Industrial units can mill 20-60 t bunches/h (Rossin, 2009). The fruit yields about 43% of crude palm oil and 57% of press cake, which consists of 35% pericarp (fibre) and 65% nuts (Pickard, 2005). The nuts remaining after the palm oil extraction process are separated from the press cake and cracked to release the kernels, which are crushed in a separate plant to obtain crude palm kernel oil (Teoh Cheng Hai, 2002). Palm kernels can be mechanically extracted or solvent extracted, a more efficient but more expensive process that is generally done in larger industrial units. The kernels are broken into small pieces, passed through rollers that reduce them into flakes, which are then steam-cooked and screw-pressed (mechanical extraction) or treated with a solvent (usually hexane). 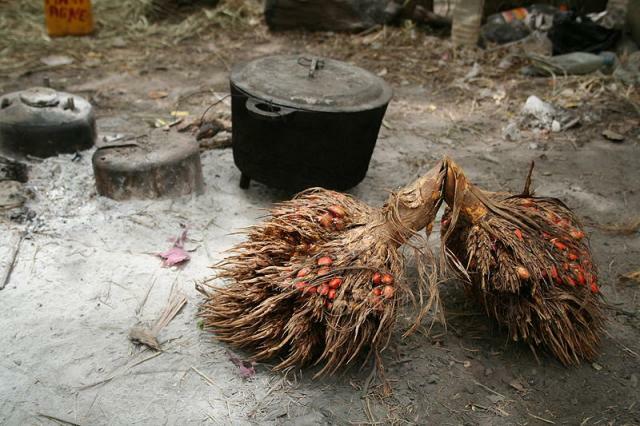 The resulting palm kernel oil is clarified in decanters (Poku, 2002). Palm nuts consists of 83% shells and 17% kernels, which yield approximately 50% of each of palm kernel oil and palm kernel cake (Pickard, 2005). 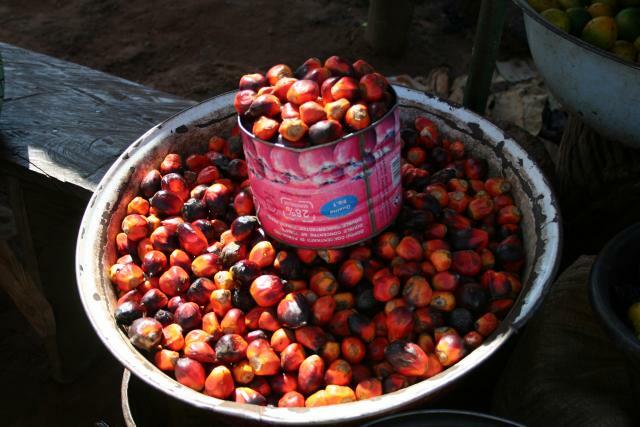 Oil palm processing yields numerous by-products. Palm kernel meal is the main by-product of the palm kernel oil extraction process. It is a highly fibrous and medium grade protein feed, hence most suited to ruminant or rabbit feeding (Pickard, 2005). Palm kernel resulting from mechanical extraction contains 5-12% oil and solvent-extracted palm kernel meal contains 0.5-3% oil (Chin, 2001). Most of the palm kernel meal production goes to animal feeding (FAO, 2012). Empty fruit bunches (50% of the fresh fruit bunches) are a moist (60% water) and bulky product used as mulch in oil palm plantations and orchards (Prasertsan et al., 1996). Nut shells are less bulky than the fruit bunch but much more difficult to decompose. They are used as mulch in oil palm plantations or burned as fuel (Prasertsan et al., 1996). Palm press fibre is the oily and fibre-rich by-product of palm oil extraction. It can be mixed with empty fruit bunches and nut shells and is usually burned to produce steam to generate electricity at the mill plant (Pickard, 2005). Palm oil mill effluent is the liquid residue of palm oil extraction and oil purification. It contains soil particles, residual oils and suspended solids. It can be further processed by decantation (sludge, slurry), filtering, centrifugation and drying (Pérez, 1997). Other oil by-products should either be designated, by the term cake, the raw, unground product obtained from mechanical oil extraction, or meal, which is the ground or solvent-extracted product. However, both terms are used interchangeably in practice and this datasheet will only use the name palm kernel meal. 80% of palm oil originates from Indonesia and Malaysia. Indonesia is the largest producer and exporter of palm oil and palm oil by-products. In 2010, this country produced 21.5 million t of palm oil (48% of world production) and 2.3 million t of palm kernel oil. Malaysia produced 17 million t of palm oil (38%) and 2 million t of palm kernel oil. The other 5 main producers (Nigeria, Thailand, Colombia, Papua New Guinea, Ecuador) represent less than 10% of the world production (FAO, 2012). Palm kernel meal is an important feed commodity internationally traded with 90% of the production (5 million t) being exported, 50% of it to the European Union (FAO, 2012; USDA, 2013). Several processes have been proposed to increase the nutritional value of palm kernel meal. The addition of enzymes has been shown to be beneficial in pig (Ao et al., 2011) and poultry diets (Soltan, 2009; Esuga et al., 2008; Sundu et al., 2006; Sundu et al., 2005). Fermentation has also been tested in poultry (Mirnawati et al., 2011; Dairo et al., 2008 ) and fish diets (Hem et al., 2008; Ng, 2004). Oil palm is a high yielding crop, though productivity is variable, from 0.3 t/ha in Nigeria to 4.2 t/ha in Indonesia (Ataga et al., 2007). In optimal conditions, the fruit yield can be as high as 30 t/ha/year, which corresponds to 7 t/ha of palm oil, or 3 times the oil productivity of coconut and 7 times that of rapeseed. Palm kernel oil productivity is much lower and about 0.8 t/ha (Ecocrop, 2011; FAO, 2012). In Malaysia and Indonesia, palm oil is generally produced in large plantations owned by private companies, though smallholders account for as much as 33% of the output. Elsewhere, as in West African countries, smallholders produce up to 90% of the annual harvest (Vermeulen et al., 2006). Oil palm can be included in integrated farming systems where it is grown with companion crops such as legumes and grass grazed by livestock. In Malaysia, more than 60,000 cattle are raised in oil palm plantations (Khusahry et al., 2003). The tremendous growth of oil palm production is a major cause of environmental concern and has become a matter of public debate since the 1990s. In the past decades, millions of hectares of tropical rainforest in South-East Asia, which provides the highest biodiversity of any terrestrial ecosystem, have been converted to oil palm production. In 2010, Malaysia and Indonesia grew oil palm on 4 and 5 million ha respectively, a two-fold and seven-fold increase since 1990 (FAO, 2012). This high rate of deforestation has resulted in the loss of habitat for a number of key species, such as the orang-utan (Wakker, 2005; Wakker, 2000). Land clearing for oil palm cultivation used to be done by burning felled biomass, which resulted in large emissions of greenhouse gases. A catastrophic forest fire in Indonesia in 1997, which was partly blamed on plantation owners, caused massive air pollution in South-East Asia. This led to a ban on burning in Asian countries with the adoption of zero-burning, which has resulted in shredding palm trunks and stacking them in the interrows (Mohd Noor, 2003; Mohd Hashim et al., 1993). Zero-burning allows recycling of large quantities of nutrients through the two-year decomposition process, improvements in the physical properties of the soil and reductions of 20-30% in the requirement for inorganic fertilizers during the first 4 years of growth (Prabhakaran Nair, 2010). An objection to zero-burning management is that unburned biomass promotes the breeding of diseases and pests such as the rhinoceros beetle (Oryctes rhinoceros). Integrated pest management systems involving a mix of cultural, physical, chemical and biological control have been developed in order to decrease the use of chemicals (Mohd Noor, 2003; Teoh Cheng Hai, 2002; Kamarudin et al., 1997; Chopra et al., 2005). The soil is particularly susceptible to erosion during the clearance period, which may turn into an acute problem in upland regions (Wakker, 2005). In some cases, a leguminous cover crop is established to limit erosion, but this requires the preventive use of weed killers (Mohd Noor, 2003). Approximately 4% of palm tree plantations in Indonesia and Malaysia are on peat soils, which store large quantities of carbon. When these soils are drained for palm plantation, the increased aeration results in oxidation and in the release of carbon dioxide. Estimations for carbon emission in tropical peat soils vary between 10 and 20 t/ha/year (Schmidt, 2007). Large scale oil palm cultivation may require up to 25 different pesticides, including Paraquat, a common herbicide. The use of Paraquat in palm oil production is controversial as this product is toxic to humans and could be dangerous for plantation workers (it has been prohibited in the European Union since 2007) (Wakker, 2005). Palm oil processing yields large quantities of solid and liquid wastes. The more fibrous wastes are generally used for energy production within the mill plant or may be valuable as mulch or as mushroom substrate (Chavalparit et al., 2006). Palm kernel meal is recycled in animal feeding. The most environmentally problematic palm oil waste is palm oil mill effluent: it was once estimated that a processing plant with a capacity of 10 tons fresh fruit per hour would require a water treatment plant comparable to that required by a population of half a million inhabitants (Brezing, 1986). Most mills have outdoor basins in which the effluent is stored and partly detoxified (by adding oxygen) but these basins easily overflow during heavy rain or intensive production. Some companies allow the liquid to flow directly into the rivers. Because of its high Biological Oxygen Demand (BOD), palm oil mill effluent is highly polluting to waterways and has significant negative effects on aquatic life downriver (Wakker, 2005). Oil palm is sometimes used for rehabilitating degraded areas. In Sumatra, it has been established successfully on abandoned farmlands taken over by Imperata cylindrica. Its shading effect is lighter than that of other plantation crops such as rubber or cocoa and it is suitable for undergrowth that can be grazed by livestock (Orwa et al., 2009). Cattle in oil palm plantations participate in weed control: in Malaysia, reduction in weeding costs varied from 32 to 73%/ha/yr (Sharun et al., 2003). Raising livestock in oil palm plantations is a subsidiary source of income (Orwa et al., 2009). 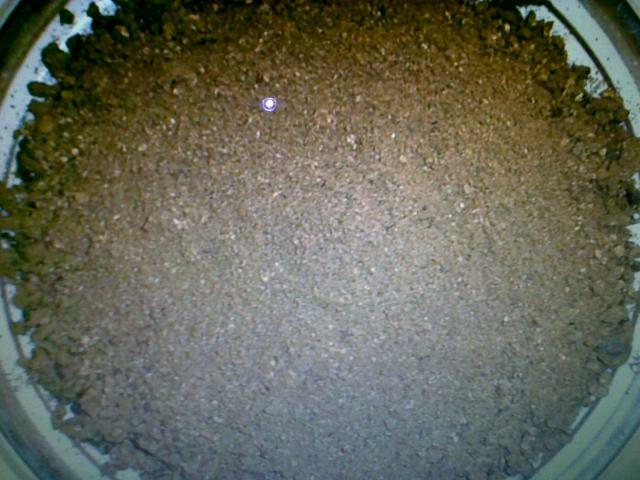 Palm kernel meal is a common feed ingredient, particularly in ruminant feeding. It is the less nutritionally valuable of the major oil meals due to its low protein content (14-20% DM, lower than copra meal) and its large quantities of cell wall constituents (crude fibre 14-28%; NDF 60-80%; ADF 35-50%; lignin 10-18% DM). The proportion of lignin in the cell walls of palm kernel meal (18% of NDF) is higher than in copra meal (13% of NDF). For these reasons, its nutritive value is inferior to that of the main oil meals, notably soybean meal, groundnut meal and cottonseed meal. Unlike those products, palm kernel meal is often obtained from mechanical extraction (expeller meal) and its oil content is quite high (6-15% DM). The less common solvent-extracted palm kernel meal contains less oil (about 3% DM) and slightly more protein (19% vs.17% on average) than the expeller meal, but the cell wall constituents and minerals are only slightly affected by the extraction process. Palm kernel meal is dry and gritty and is not readily accepted by ruminants and pigs. However, as it is mainly used in compound feeds, its lack of palatability is of less importance (Göhl, 1982). Palm kernel meal contains 20-30 ppm of copper (APOC, 2006). Sheep are very sensitive to copper and levels as low as 25 ppm in the diet can be toxic to them (Schoenian, 2009). If palm kernel cake is fed to excess (90% of the diet) to sheep, it is known to cause chronic copper toxicity and death due to hepatic necrosis. When palm kernel cake is fed at lower levels (60% of the diet) to rams, it results in spermatogenesis problems and other reproduction deficiencies (Yaakub et al., 2009). Supplementing diets with sodium molybdate may alleviate copper toxicity since Mo forms insoluble complexes with Cu and prevents copper absorption (Schoenian, 2009; Akpan et al., 2005). Zinc is another antagonist to copper absorption but zinc supplementation may result in high zinc concentration in blood, liver and kidneys. Phytase supplementation may be a complementary way of preventing copper toxicity as it enhances zinc availability in sheep (Akpan et al., 2005). Palm kernel meal is mostly used to feed ruminants. In spite of a nutritional value lower than that of other meals, it remains a source of protein and energy and its cost may make it particularly attractive when compared to more expensive ingredients such as maize grain and soybean, and it can often partially replace them when economic conditions allow it. These OMD values result in ME estimates of 11.6 and 10.7 MJ/kg DM for expeller and solvent-extracted palm kernel meal respectively. Compared with copra meal, corn distillers dried grains and corn gluten feed, the low energy value of some palm kernel meals could limit their inclusion in diets for high-performance ruminants (Carvalho et al., 2005). The prediction of palm kernel meal digestibility by in vitro methods is not accurate and underestimates the in vivo digestibility (Castagna et al., 1984), even with procedures involving enzymes (gamanase) or rumen fluid (Dowman, 1993; O'Mara et al., 1999). This problem is due to the presence of galactomannans that are not readily hydrolyzed by the enzymes in the cellulase preparation. Palm kernel meal is, after guar gum, the feed ingredient that is the richest in non-starch polysaccharides (NSP) and galactomannans. This may also explain why palm kernel meal studied in sacco in the rumen has a particularly long lag phase, which can exceed 10 hours, before the onset of cell wall degradation (Sauvant et al., 1986; Hindle et al., 1995; Chapoutot et al., 2010). This fermentation pattern suggests that the effective rumen digestion of palm kernel meal is particularly sensitive to transit outflow rates. After the lag phase, cell wall degradation becomes important and palm kernel meal can be considered to be a source of highly digestible fibre, similar to copra meal, soybean hulls and maize bran (Sauvant et al., 1986; Chapoutot et al., 2010). The rumen undegradable fraction of cell wall components varied between 23 and 37% (Steg et al., 1993) but a higher value (47%) has been proposed by Chapoutot et al., 2010. Due to its low degradation rate in the rumen, palm kernel meal is not considered to be acidogenic and its inclusion at up to 55% of DM intake had no detrimental effect on rumen conditions in goats (Chanjula et al., 2009). Moreover, the supplementation of low quality hay with palm kernel meal or copra meal improved the production of microbial protein in the rumen (Marsetyo, 2007). Although palm kernel cake supplies both protein and energy, it is looked upon more as a source of protein. The fraction of rapidly fermentable N in the rumen is low (15-16%) (Sauvant et al., 2004; Woods et al., 2003a) and the effective degradability of the protein is low, usually in the 40-50% range (Carvalho et al., 2009; Sauvant et al., 2004; Woods et al., 2003a; Hindle et al., 1995; Umunna et al., 1994) although 34% has been reported (Promkot et al., 2007). The digestibility of by-pass protein in the intestine, which is generally lower than 80%, is not particularly high compared to other feeds (Carvalho et al., 2005; Sauvant et al., 2004; Woods et al., 2003b), though higher values (83-92%) have been proposed, and correlated to in vitro pepsin digestibility (Steg et al., 1993). In the areas of palm oil production, a typical feed ration for dairy cattle may contain up to 50% of palm kernel meal. In Malaysia, for example, the use of palm kernel meal helps to reduce dairy production costs because it replaces more expensive imported feeds such as soybean meal or maize grain. The inclusion of solvent-extracted palm kernel meal at up to 15% of the diet decreased feed costs and increased milk protein content without affecting milk yield (Carvalho et al., 2006). Due to its specific fatty acids profile, palm kernel meal fed at 2-3 kg daily to dairy cattle tended to increase milk fat content and to produce a firm butter (Witt, 1953). Palm kernel meal is widely used for feeding growing cattle and a ration of 2-5 kg per day has been found satisfactory for adult animals. It is considered as a reasonably profitable feed for cattle, both for fattening and supplementary feeding. In Malaysia, feedlot cattle are normally fed up to 80% palm kernel meal in the diet DM. However, based on chewing activities and rumen digestion indicators, ingredients such as tomato pomace, dried brewers' grains and soybean hulls may be better sources of fibre than palm kernel meal in total mixed rations (Chumpawadee et al., 2009). Supplementation with up to 30% palm kernel meal in sheep fed koronivia grass (Brachiaria humidicola) did not induce any physiological or nutritional damage and increased ADF digestibility (Costa et al., 2010). The partial substitution of maize grain and soybean meal with palm kernel meal was found satisfactory in sheep fed ammoniated elephant grass silage (Pennisetum purpureum) (Silva et al., 2007). In growing sheep fed native hay, increasing the inclusion rate of palm kernel meal in the supplement up to 90% did not significantly affect performance and decreased the feed cost, making the substitution of maize grain and oil meals by palm kernel meal economically attractive (Umunna et al., 1994). In grazing hair ewes, including up to 30% palm kernel meal in the supplement in partial substitution of maize grain did not alter reproductive performance (Luna Palomera et al., 2010). Supplementation with zinc and phytase prevented chronic copper toxicity in West African Dwarf sheep fed palm kernel meal (Akpan et al., 2005). Palm kernel meal as the sole component of the supplement was an adequate protein source for West African Dwarf goats (Aina et al., 2002). The performance of West African Dwarf goats fed wilted Guinea grass (Megathyrsus maximus) and palm kernel meal was better than that of goats supplemented with brewer's grains, similar to the performance of goats fed cottonseed meal and lower than that of goats supplemented with soybean meal (Arigbede et al., 2006). Partial substitution of maize grain and soybean meal with palm kernel meal in diets of lactating goats did not affect significantly dairy performance when palm kernel meal was included at up to 30% in the supplement (corresponding to 18% of the diet DM) (Silva et al., 2005). Palm kernel meal supplies both crude protein and energy but is generally considered to be an energy source for pigs (Boateng et al., 2008). However, due to its high fibre content and to the Maillard reactions occurring during processing, energy digestibility of palm kernel meal is lower than 50%, resulting in the ME content for growing pigs being very low (7.8 MJ/kg DM vs. 16 MJ/kg DM for the maize grain). This energy value can be improved by the application of an enzyme complex to the diet that facilitates the breakdown of non-starch polysaccharides (Ao et al., 2011). The digestibility of most amino acids is about 20 to 30 percentage points lower than for the maize grain: standardised ileal lysine digestibility is only 37% for the palm kernel meal vs. 80% for maize (Février et al., 2001; Sauvant et al., 2004). Palm kernel meal is not very palatable to pigs: young pigs do not always like it, and it must always be introduced very gradually. Palm kernel meal tends to produce firm pork of good quality (Göhl, 1982). The inclusion of palm kernel meal in pig diets tends to decrease growth performance, which can be attributed to the high non-starch polysaccharides content, to the low palatability of the meal and to its low amino acids and energy digestibilities (Kim et al., 2001). In industrialised temperate countries, palm kernel meal is used as a substitute for milling by-products in rations for growing-finishing pigs and 5 to 10% inclusion rates are recommended. Adding an enzyme complex can counteract the negative effect of palm kernel meal on growth performance (Kim et al., 2001). For weaning piglets and lactating sows, in which energy intake is the main limiting factor for optimal performance, the inclusion of palm kernel meal is not recommended because of its low palatability and its high dietary fibre content. In pregnant sows, however, high levels of palm kernel meal (30-40%) can be fed without negative effects on reproductive performance. In some farming systems, especially in West Africa or Southern Asia, palm kernel meal can be economically viable and up to 40% may be included in diets for growing-finishing pigs to replace cereal grains without deleterious effects on growth performance (400 to 500 g/d on average) and meat quality (Jegede et al., 1994; Rhule, 1996; Fatufe et al., 2007). Although palm kernel meal has a low protein content compared with other oil meals, it can be valuable in poultry nutrition because of its availability and low price. While its composition is somewhat similar to that of copra meal, its higher bulk density and lower water holding capacity tend to increase feed intake (Sundu et al., 2006). There are no antinutritional factors affecting poultry in palm kernel meal and no palatability problems. It is a quite variable product and its energy value in poultry depends greatly on the fat content and on the presence of kernel shells (pericarp), which increase the amount of fibre and lignin (Jackson et al., 1996). Palm kernel meal can be used in broiler diets provided that its limitations in terms of amino acids (lysine, methionine + cystine) and energy are taken into account when formulating rations. Growth performance was not significantly decreased at inclusion rates up to 20 to 30% (Onwudike, 1986c; Ugwu et al., 2008; Bello et al., 2011). Feed intake in diets containing palm kernel meal was generally higher than for a control diet, resulting in a less efficient feed conversion ratio (Ezieshi et al., 2008; Sundu et al., 2005). The increased feed intake, which may compensate for the lower energy value of palm kernel meal, confirms the absence of palatability issues with this product in poultry. Higher inclusion levels have been tested, but animal performance depends on characteristics of the palm kernel meal used and on diet formulation (Sundu et al., 2006). For example inclusion rates of 40 or 50% were detrimental to performance in several trials (Ezieshi et al., 2004; Iyayi et al., 2005). Enzyme supplementation (hemicellulases, mannanases) was found in some cases to increase the digestibility of palm kernel meal and thus its nutritive value (Sundu et al., 2006). Higher feed efficiency, caused by better growth performance and/or reduced feed consumption, has been observed with diets containing palm kernel meal supplemented with enzymes when compared to diets without enzymes (Esuga et al., 2008; Soltan, 2009; Sundu et al., 2005). Enzymes could also help to reduce the problems caused by wet feces that are sometimes observed with palm kernel diets. The inclusion of yeasts at 1.5% improved feed efficiency thanks to a better hemicellulose degradation (Onifade et al., 1996). Hemicellulose fermentation in the digestive tract has also been linked to a potential probiotic activity that could explain some reported beneficial effects of palm kernel meal on animal health and digestive physiology (Sundu et al., 2006). Generally, including 20% palm kernel meal in broiler diets is safe if the ration has been properly formulated. In situations where palm kernel meal is available at a low price, inclusion rates as high as 40% may be economically profitable in spite of the resulting decreased feed efficiency and animal performance. Laying performance can generally be maintained with diets including up to 25% palm kernel meal (Chong et al., 2008; Perez et al., 2000). Feed intake tends to increase, resulting in a slightly lower feed efficiency (Chong et al., 2008). Egg quality was not affected by the inclusion of 40% palm kernel meal (Onwudike, 1988). Higher levels of palm kernel (from 40 to 50%) can be detrimental to performance but they can be profitably used when palm kernel meal is cheap (Onwudike, 1988; Perez et al., 2000). Pullets can be fed up to 30% palm kernel meal during the starter and growing phases, with no consequences on animal development and subsequent laying performance (Onwudike, 1986b). Palm kernel meal can be used in low density diets for broiler breeders, resulting in higher feed intake and in a reduction in the symptoms of hunger (Enting et al., 2007). Fermentation of palm kernel meal has been proposed as a method for improving its nutritive value, but the gain in fibre content and digestibility is limited by the reduction of fat content. Palm kernel meal that had undergone anaerobic fermentation for 8 days was well consumed by layers and did not cause a significant decrease in egg production (Dairo et al., 2008). In broilers, palm kernel meal fermented with Aspergillus niger also led to good growth (Mirnawati et al., 2011). Palm kernel meal is a fibrous and protein-rich product that can meet the requirements of high-producing rabbits (de Blas et al., 2010; Sauvant et al., 2004). Though its high fibre content may have a depressive effect on digestibility, its low starch-to-fibre ratio might decrease mortality during the fattening phase (Gutierrez et al., 2002). Palm kernel meal also provides medium-chain fatty acids, the high concentration of which in rabbit milk might contribute to explain the protective effect that delaying weaning exerts on rabbit viability (Carrion et al., 2011). Palm kernel meal can replace significant amounts of other fibrous ingredients without adverse effects on growth. Inclusion levels can range from 20% to 30% of the diet (Carrion et al., 2011; Orunmuyi et al., 2006; Adeniji et al., 2004). Higher levels of palm kernel meal in the diet may result in lower animal performance (Orunmuyi et al., 2006). However, palm kernel meal is a cheap protein source and its inclusion in rabbit diets may lower feed costs, thus making it an economically viable replacement for more expensive ingredients such as soybean meal, sunflower meal and groundnut meal (Kpodekon et al., 2009; Adeniji et al., 2004; Agunbiade et al., 2001). Palm kernel meal can replace up to 50% of the protein supplied by soybean meal and 37.5% of groundnut meal (Adeniji et al., 2004; Agunbiade et al., 2001). Palm kernel meal has a lower nutritive value than soybean meal for breeding does (Aganga et al., 1991). However, if palm kernel meal should be used in high-performance rabbit diets, attention must be paid to the fact that this source of protein is lysine-deficient and also deficient in sulphur amino acids, providing only 58% and 80% respectively of the recommended levels (Lebas, 2004). The use of palm kernel meal in fish diets is limited by its low protein content, amino acid deficiencies and presence of antinutritional factors (non-starch polysaccharides). However there have been encouraging results in tilapia and catfish, with fish growing well with dietary levels up to 20% and even higher (Ng, 2004). Several studies have shown that substantial amounts of palm kernel meal could be fed to Nile tilapia fingerlings (Oreochromis niloticus). For instance, the growth of fingerling fed up to 60% palm kernel meal in the diet was similar to that of fish fed a fish meal-based diet (Omoregie et al., 1993). Feeding fingerlings a diet containing up to 35% palm kernel meal for 120 days had no adverse effects on growth (Oliveira et al., 1997a). The inclusion of up to 35% palm kernel meal in Nile tilapia diets did not affect the apparent digestibility and did not induce any pathological effects on viscera and intestinal epithelium (Oliveira et al., 1998). However, Nile tilapia fed diets where palm kernel meal replaced 30 to 90% of fish meal had a lower final weight than fish fed the control diet and a protein efficiency ratio that declined with increasing dietary palm kernel content, though feed efficiency was higher for the palm kernel-based diets (Adikwu, 1997). Red hybrid tilapia fed palm kernel meal pre-treated with commercial feed enzymes consistently showed better growth and feed utilization efficiency compared to fish fed similar levels of raw meal. Up to 30% enzyme-treated palm kernel meal could be incorporated into red tilapia diets without significantly depressing growth (Ng et al., 2002a). However, direct inclusion of exogenous enzymes in diets for tilapia has not been successful (Ng et al., 2002b). There have been several attempts to increase the protein content of palm kernel meal through solid state fermentation by fungi such as Trichoderma koningii or Aspergillus flavus. In some experiments with tilapia, the protein content was doubled and digestibility increased but a marked reduction in fish growth was observed, possibly due to the release of mycotoxins (Ng et al., 2002a; Ng, 2004). In Guinea, fermentation of palm kernel meal with rumen contents and rice bran was poorly accepted by tilapia. However, it was found by accident that maggots of Diptera (Hermetia illucens) grew easily on palm kernel meal mixed with water (1:2), and that after 3-4 weeks of culture the resulting live biomass was a suitable feed enjoyed by the fish (Hem et al., 2008). Up to 20% palm kernel meal could be incorporated in hybrid catfish diets without any negative effects on growth performance. However growth was significantly depressed at the 40% dietary level and this was not alleviated with the addition of 1.2% dietary L-methionine, possibly because methionine is not the first limiting essential amino acid in these diets (Ng et al., 2002c). In pacu fed diets containing 70% palm kernel meal, the DM digestibility of palm kernel meal was quite low (54%) and the fibre was not digestible. It was concluded that palm kernel meal was less valuable for pacu than the more digestible copra meal (Oliveira et al., 1997b). Ataga, C. D. ; van der Vossen, H. A. M., 2007. Elaeis guineensis Jacq.. Record from Protabase. van der Vossen, H.A.M. & Mkamilo, G.S. (Editors). PROTA (Plant Resources of Tropical Africa / Ressources végétales de l’Afrique tropicale), Wageningen, Netherlands. Basiron, Y., 2005. Palm oil. In: Bailey’s Industrial Oil and Fat Products, Sixth Edition, John Wiley & Sons, Inc.
Chanjula, P. ; Mesang, A. ; Kuprasert, S. ; W. Ngampongsai, W. ; Lawpetchara, A., 2009. Effects of Palm Kernel Cake in Concentrate on Intake, Rumen fermentation and Blood Metabolites in Goats. 2nd International Conference on Sustainable Animal Agriculture for Developing Countries Kuala Lumpur, Malaysia, 8 th – 11 th November, 2009. Jegede, J. O. ; Tegbe, T. S. B. ; Aduku, A. O. ; Olorunju, S. A. S., 1994. The effect of feeding palm kernel meal on performance and carcass characteristics of pigs. Nigerian J. Anim. Prod., 21 (1-2): 88-95. Mohd Hashim, T. ; Teoh, C. H. ; Kamaruzaman, A. ; Mohd Ali, A., 1993. Zero burning — an environmentally friendly replanting technique. In: Jalani, B. S. ; Ariffin, D. ; Rajanaidu, N.; Mohd Tayeb, D.; Paranjothy, K.; Mohd Basri, W.; Henson, I. E.; Chang, K. C. (Eds. ), Proc. PORIM Int. Palm Oil Congress. Palm Oil Research Institute of Malaysia , Kuala Lumpur, Malaysia , pp. 185 – 194 . Schiemann, R., 1981. Stoff- und Energieeumsatz beim ausgewachsenen, vorwiegend fettbildenden Tier. In: Gebhardt, G. (ed. ): Tierernährung. VEB Deutscher Landwirtschaftsverlag, Berlin, 96-106. Vermeulen, S. ; Goad, N., 2006. Towards better practice in smallholder palm oil production. IIED, International Institute for Environment and Development, 55 pp.